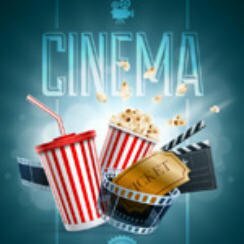 Popcorn Cinema Show takes a looks at the weeks movie releases for 13th May 2016 in the UK, US, Australia and New Zealand at the cinema, plus all the weeks film news. So we have a few horror films this week, Green Room in the UK and The Darkness in both UK & US. Not much of interest this week lots of none stories which we at Popcorn Cinema Show ignore. Predator To Film This Year? Predator reboot or sequel is reported to be due to start filming later this year according to director Shane Black. Although I can find no confirmation that Arnold Schwarzenegger has signed on yet. Five friends go to stay at a remote cabin in the wood. Big screen outing of everyone’s favourite or most disliked game! A punk-rocker band agree to a last minute gig in a backwaters Oregon roadhouse. However the gig soon takes a turn for the worse as they stumble upon a murder scene. An English couple befriend a Russian whilst on holiday unaware he is a money launder working for the Russian mafia. It’s time to follows the lives of a group of college freshmen/ baseball players during the 1980’s. Following a holiday to the Grand Canyon a family inadvertently bring a supernatural presence home with them. A TV host an d his producer are held hostage on air when an investor who has lost everything takes control of the studio. So this week we have a few horror movies, maybe Green Room may be the best one to look at unless you really need to see Cabin Fever again. The Darkness releases in both UK & US starring Kevin Bacon but the trailer does not do anything to entice my into watching.